This one felt needed (among others), in order to warn of the latent risk of just barreling into an investment here. 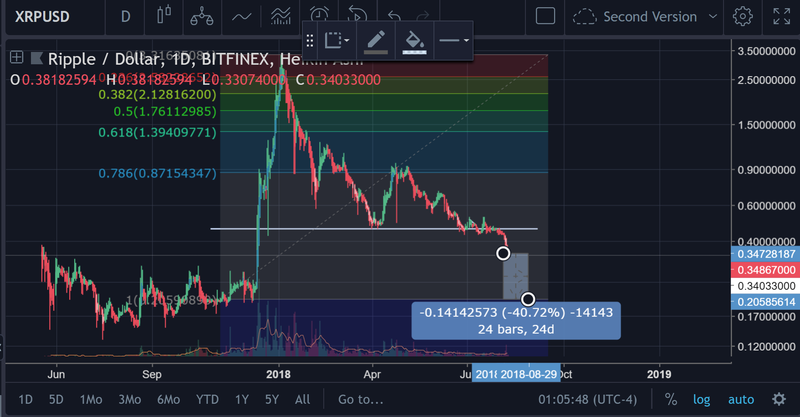 A -40% drop in the price would lead it right to that 100% retracement level. 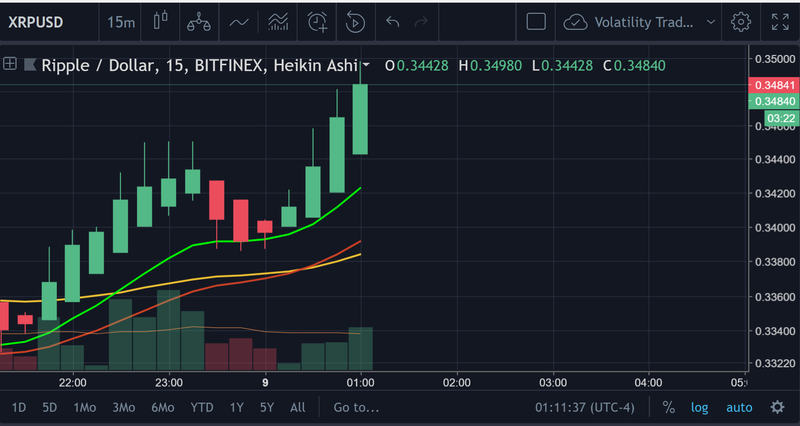 EMA chart on the 15min time frame looking somewhat bullish. 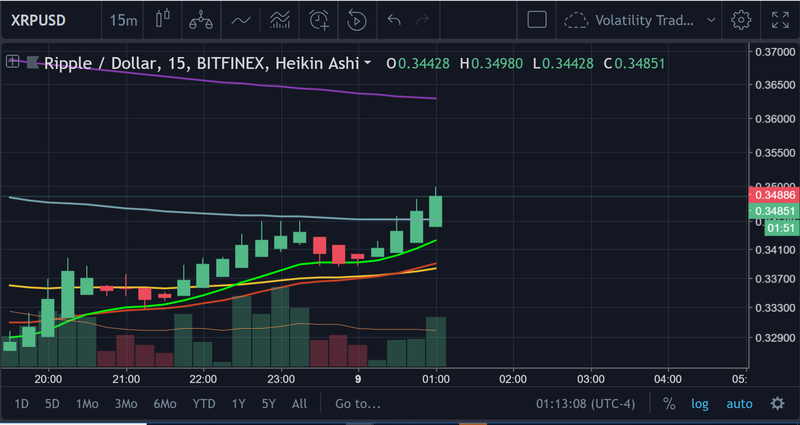 Above is the EMA-12, EMA-26, and EMA-50 are all under the price currently on the 15min chart for XRP. 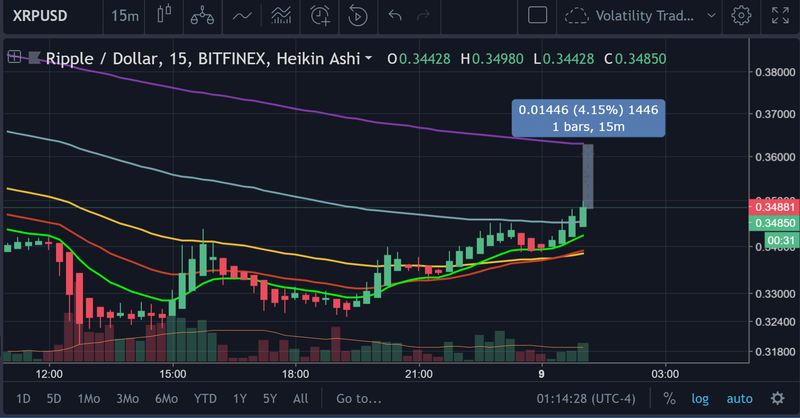 Everytime the price crosses above an EMA indicator, that’s a buy signal (that’s law). Price is nudging on the EMA-100 on the 15 min chart as well. 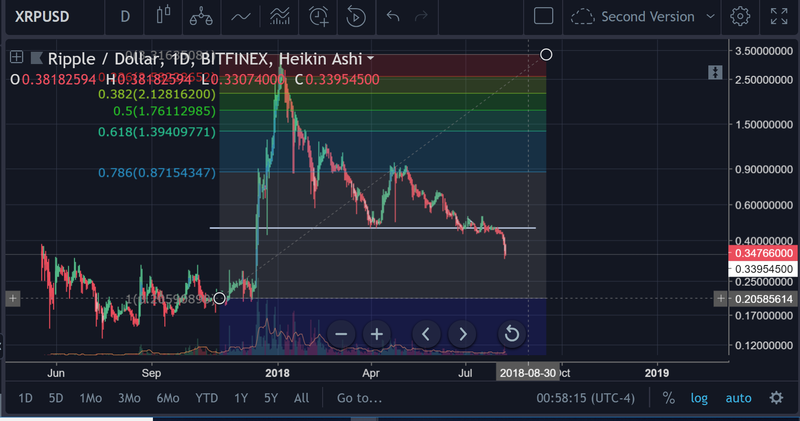 A break past here could send it on a run toward the EMA-200 (which is obviously on top due to the bearish drop in price previously). 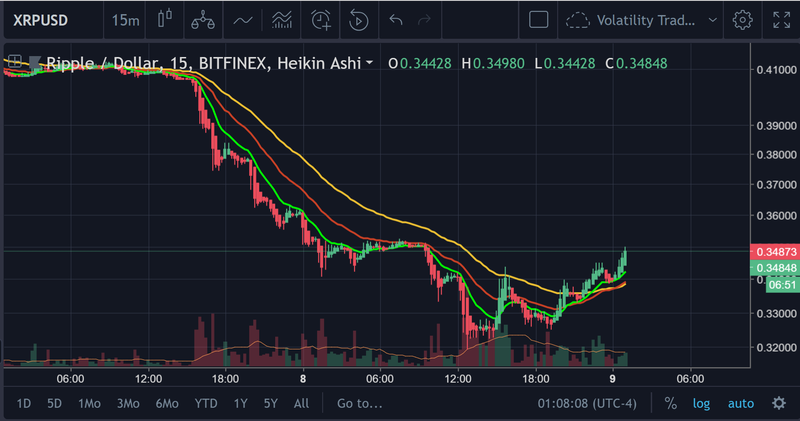 EMA-200 on the 15 min is sitting at roughly $0.362, which is a decent move up from where the price is currently.